The fire station is full of fun in this exciting title. Trying on a fire helmet, sliding down the fire pole, and checking out a big red fire truck are all on tap when this dino visits his fireman brother at the station. 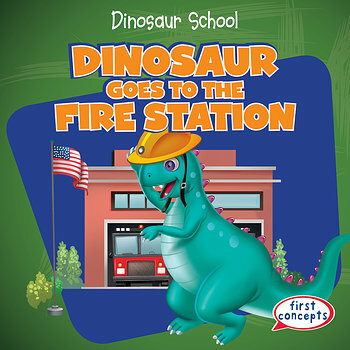 Beginning readers will love watching their dinosaur friend try on a fireman’s outfit and watching him learn what dinos do at a fire station when they’re on the clock. But what happens at the station when a call comes in? For these dinos, it’s time for action!